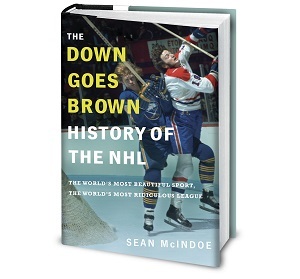 Down Goes Brown: What could the NHL learn from baseball's new CBA? Hockey fans had a reason to smile this week. A pro sports league was facing down the threat of a labour disruption while working to hammer out a new collective bargaining agreement, and for once it wasn’t the NHL. That ended last night, when word emerged that Major League Baseball and its union had reached a tentative deal. The league’s CBA had been set to expire at midnight last night, threatening to cancel the annual winter meetings and other offseason activities, and disrupt a labour peace that stretches back over two decades. So no, hockey fans, yours isn’t the only sport that goes through this stuff. Still, the timing is interesting, coming in the midst of what seems like the first salvo of the hockey world’s next big showdown. The NHL’s offer to extend the CBA in exchange for Olympic participation sure seemed like a thinly veiled attempt to set up the NHLPA to take the blame for a 2020 work stoppage, and it will be interesting to see if fans fall for it. Either way, the pieces are starting to move around the board, even four years before hockey’s next lockout begins. Meanwhile, hockey fans yearning for the good old days of analyzing CBA minutiae can get their fix by turning to baseball, where the expiring MLB agreement and the reported replacement hold some interesting ideas. Not all of them apply to hockey – one of baseball’s biggest sticking points was an international draft that the NHL wouldn’t need, for example. But many could, if the NHL wanted to get creative. So as we wait patiently for hockey's next CBA apocalypse, let's flip through baseball's recent versions and see if there's anything that the NHL could borrow from the boys of summer. One of the most contentious issues in recent MLB CBAs has been draft pick compensation for free agents. Introduced in the 1970s and modified over subsequent agreements, the concept calls for teams that lose players to free agency to be compensated with draft picks. Those picks could come from the signing team or from the league itself (or both), and depend on the quality of the player lost. But in its simplest form, the idea is to compensate teams that lose free agents, avoiding the worst-case scenario of watching a key player walk away for nothing in return. It's worth pointing out that MLB players don't like the rule, and have been pushing back on it for years. You can see why. A team is less likely to want to spend big money on a free agent if they know that they'll also have to surrender a high draft pick as compensation. Players have fought to reduce the rule's scope; for example, the 2011 CBA limited compensation to players that had received a qualifying offer and been with a team for a full season. This time around, MLB players pushed to have the concept dropped entirely, although reports say the new CBA will maintain it in a limited form. Could it work in the NHL? : Anything like the most recent MLB rule would be fought hard by the NHLPA. After all, NHL teams are even more obsessed with hoarding draft picks than their MLB brethren. It's hard to imagine a team like the Oilers being willing to spend $42-million on Milan Lucic if they knew they'd also have to ship their first-round pick to a division rival. That said, a modified version of the idea in which only league-supplied picks were in play could work. Under that scenario, the league could create new picks to compensate teams that lose certain UFAs. Those new picks could fall within the existing rounds, or perhaps in a new round altogether – MLB sandwiches a mini-round in between the first and second for exactly that purpose. That wouldn't even be all that new of a wrinkle for the NHL, which already creates compensation picks for unsigned draft picks. From a fan's perspective, there would be pros and cons of the approach. On the one hand, the NHL's free agency market has been withering away over the years, as teams make sure to re-sign top players rather than lose them for nothing. Adding some compensation to the mix could encourage teams to let more players walk, resulting in more offseason fireworks on the open market. On the other hand, that would dry up the market for midseason rentals, making the trade deadline even less active than its recently been. There are arguments on both sides. But either way, the NHL would want to make sure that any new free agent compensation rule didn't leave any obvious loopholes for teams to exploit. They've been down that road before.